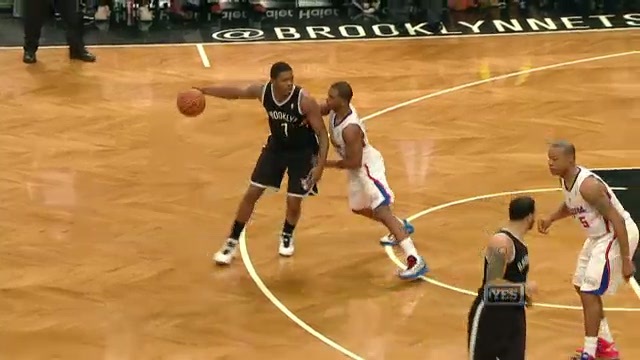 This is an example of a defensive foul, with the defender using an illegal forearm above the free throw line extended. A defender may not have an extended forearm in contact with an opponent with the ball above the free throw line extended. On this play, the defender places his extended forearm onto the back of the dribbler. This contact at this point on the floor is an automatic foul, regardless if the contact disrupts the offensive players speed, quickness, balance or rhythm.